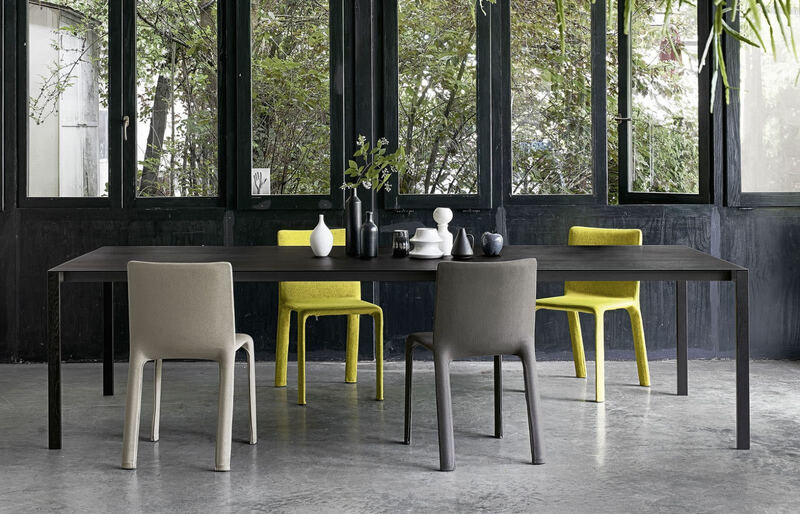 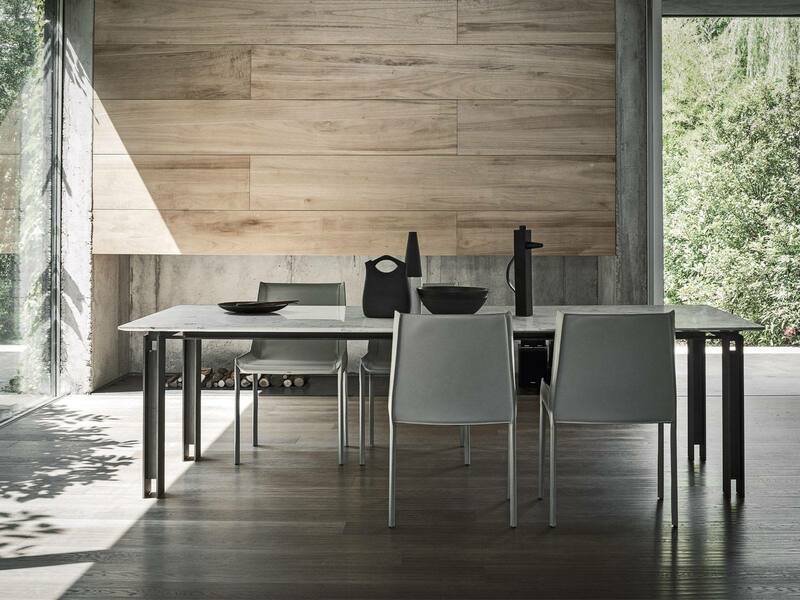 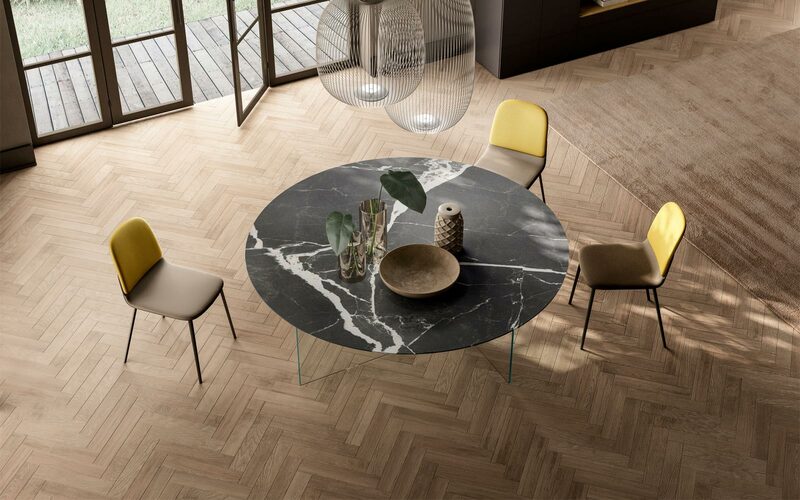 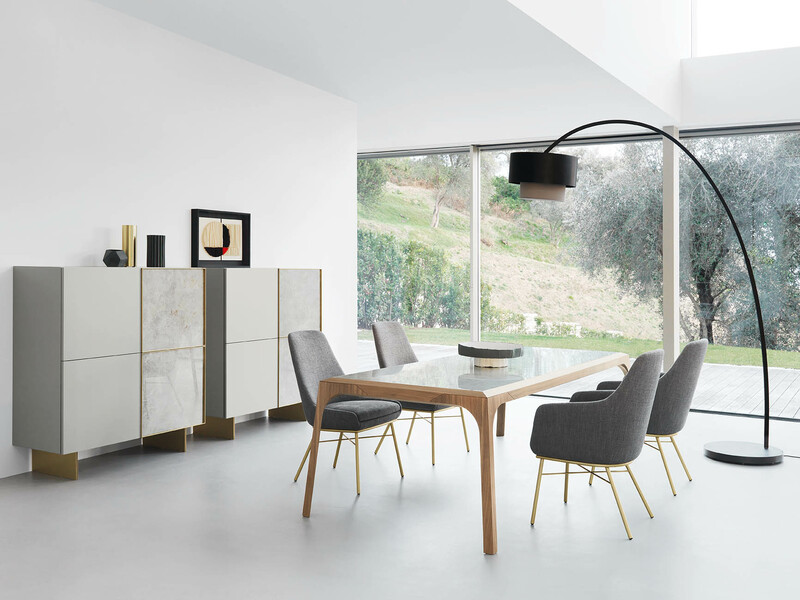 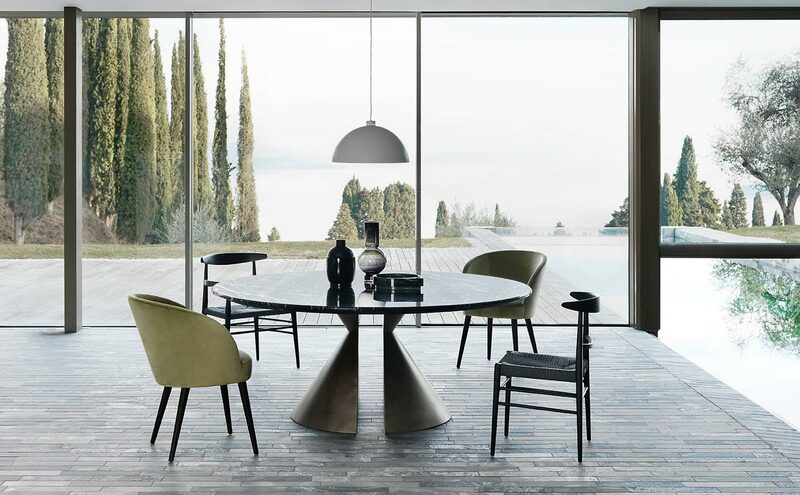 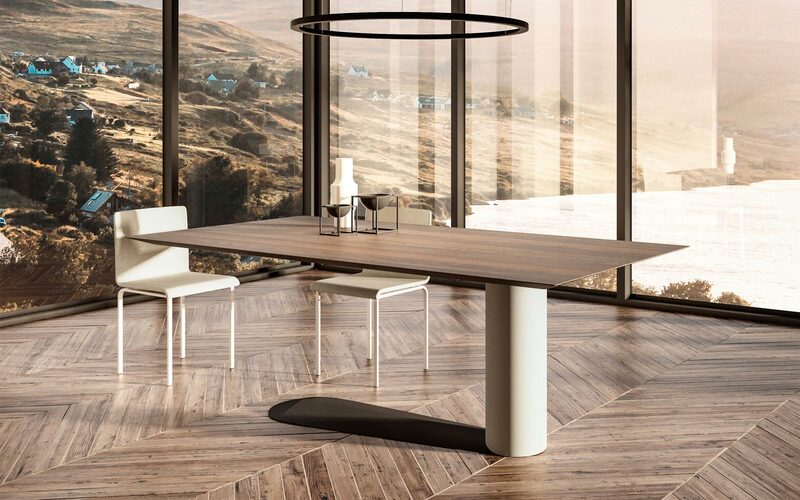 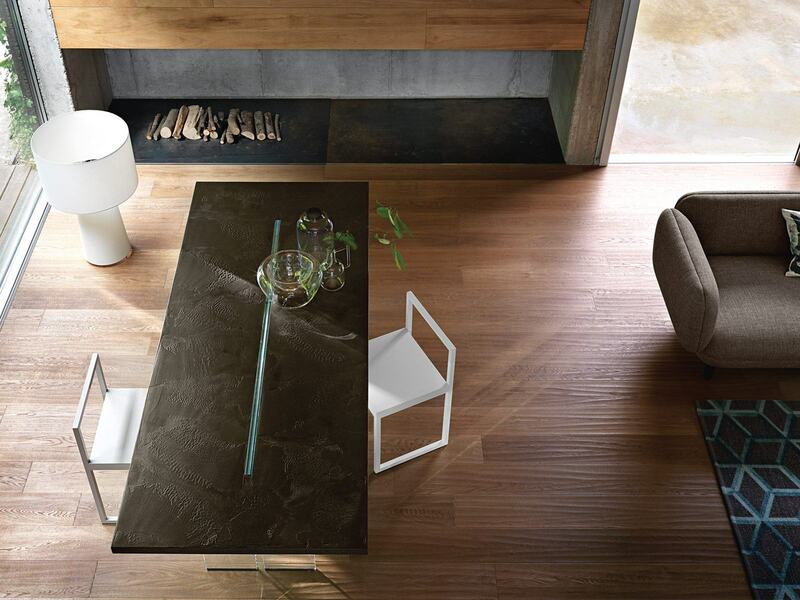 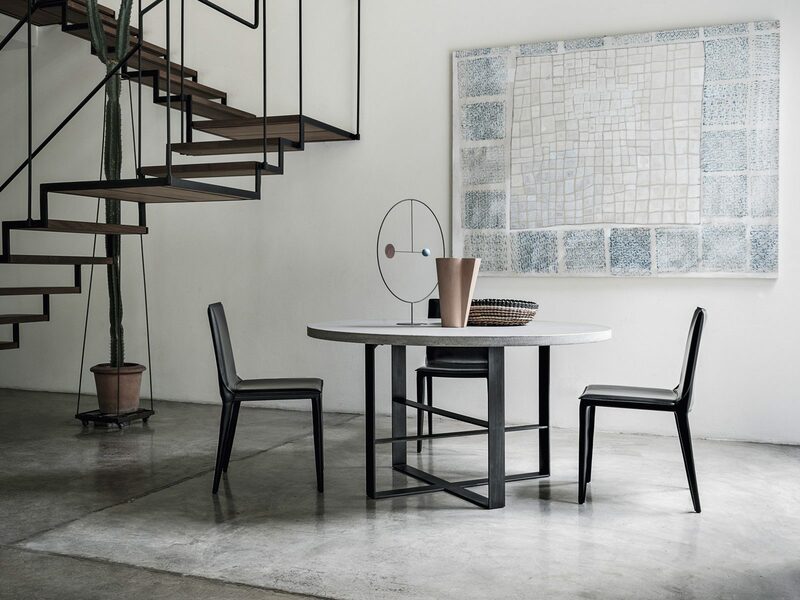 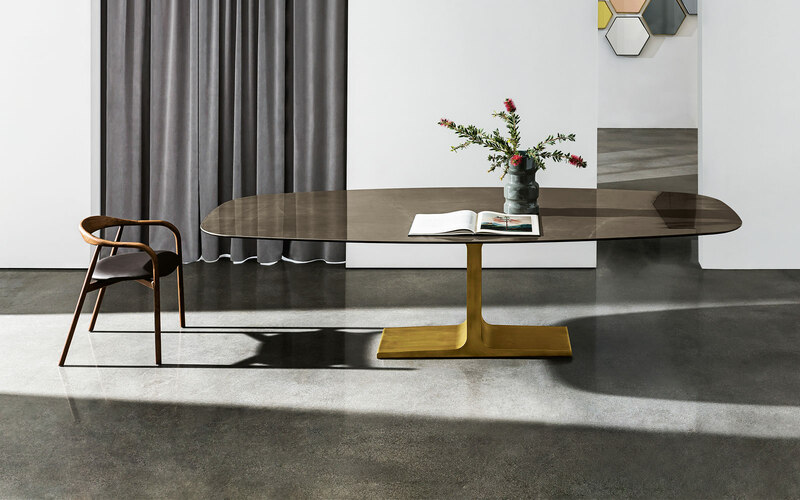 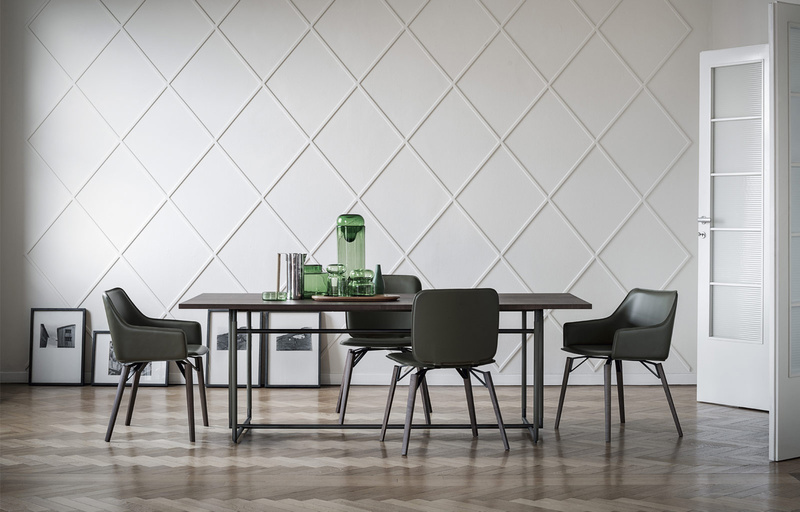 Extendable dining table available in a variety of finishes including wood, matt lacquer and high gloss. 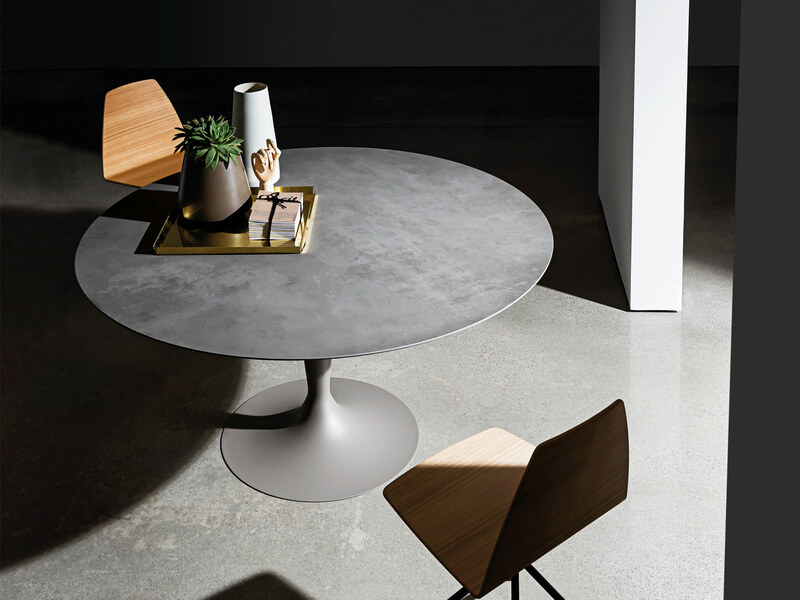 The 50 mm thick table top and extensions are made with 45° join between the surface and the legs. 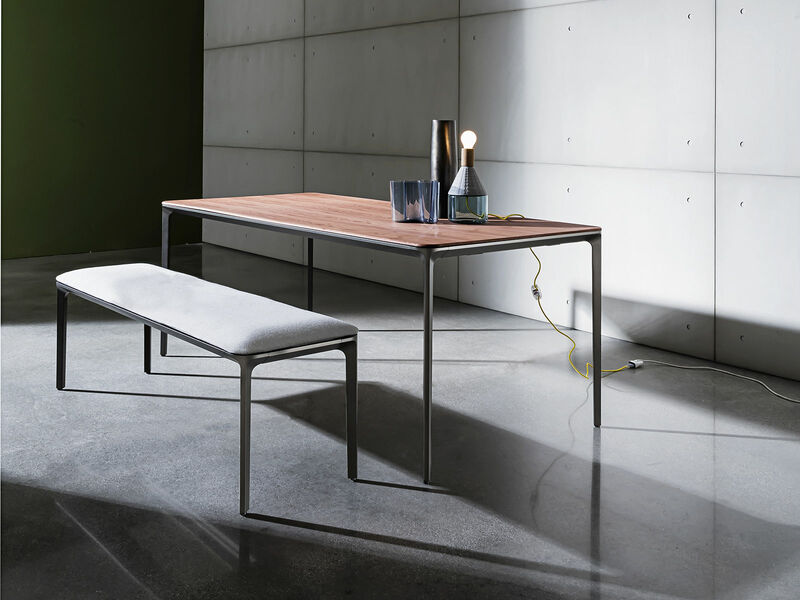 The mechanism consists of aluminium rails with the extensions concealed inside the table top. 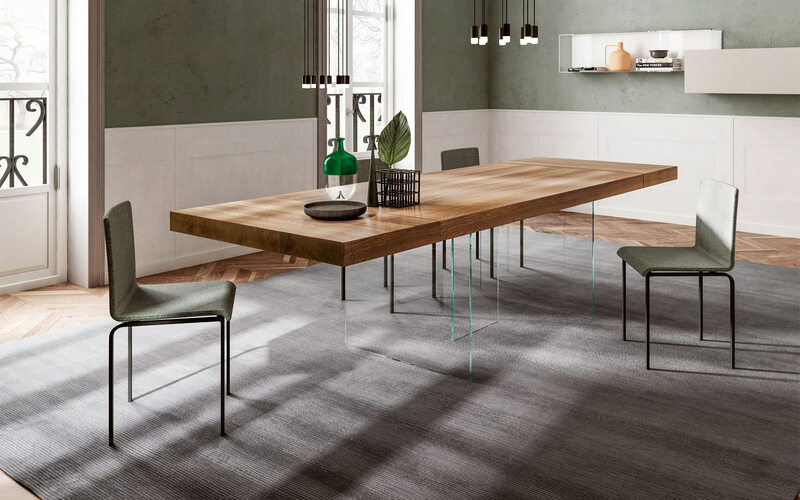 The largest version of the Ambrogio features extensions at both ends allowing for it to be extended one end or both, depending on the amount of seats required. 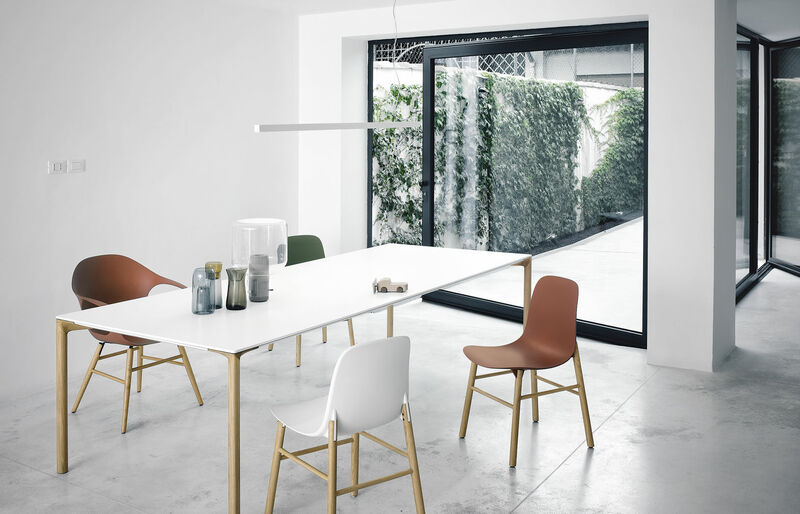 Seat 6 to 12 persons. 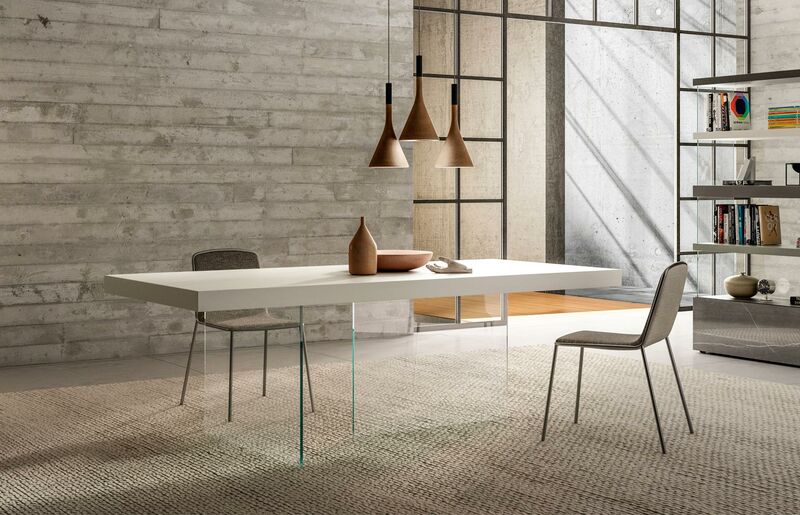 Lacquered matt or glossy (18 colours), open pore or aged oak (8 colours), smoked oak finish.